Elizabeth Hazel is desperate for a better life. Everything about her teenage existence — her imperfect body, her smoking, a lame summer job, and her annoying brother — makes each day more depressing than the last. But everything changes when a mysterious stranger appears and reveals a link between her upcoming eighteenth birthday and an ancient legend known as The Day of Desires. 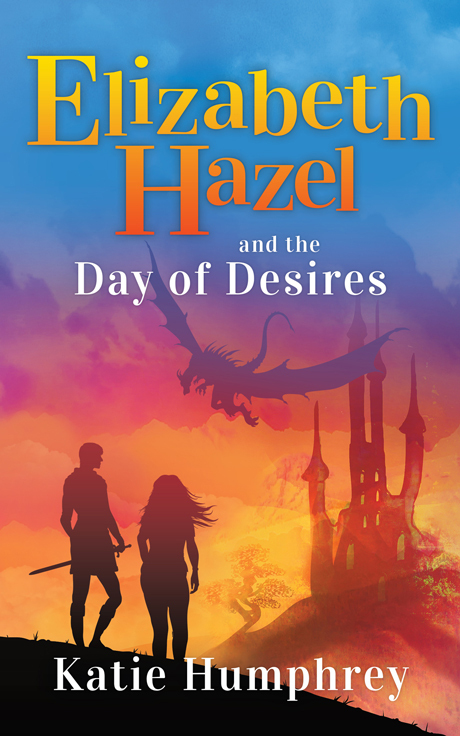 With the prophecy proven true, Elizabeth is thrust into a strange new world where dragons rule the skies, terrible monsters abound, and magic shimmers in dark places. Aided by a dashing admirer, she must face her deepest fears in order to return home. Will she find the courage to overcome these challenges, or will fear devour her whole? Join Elizabeth on her thrilling journey of self-discovery. Katie Humphrey wakes up every morning one mission: having fun. While she may not be a pirate, she views life as a great adventure and loves to share that experience with others. Her work — if you want to call it that — invites teens to discover the value of who they are and the bigger purpose they hold. While Katie would prefer to live in Ellon, she currently resides in Jacksonville, Florida, with her husband and her fearless Scottish Terrier, Mack (who favors the hashtag #scottiesforfreedom).